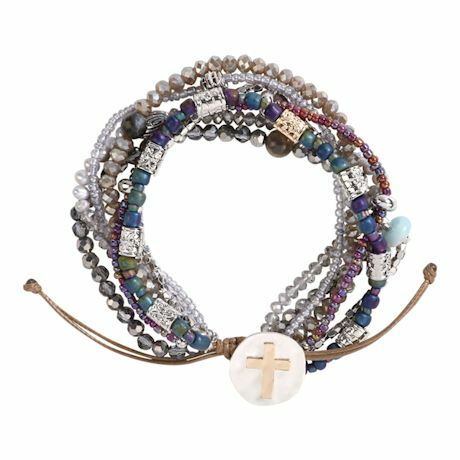 Designed to guide you through a mindful week, this seven-strand prayer bracelet has a focal bead on each strand for different aspects of life: God, Family, Friends, Health, Safety, Our World and Requests. The bracelet is a reminder to pause daily; each strand cues meaning and depth to your moment of reflection. Glass, plastic, metal and semi-precious stone beads. Stretch bracelet fits wrists 6"-10".